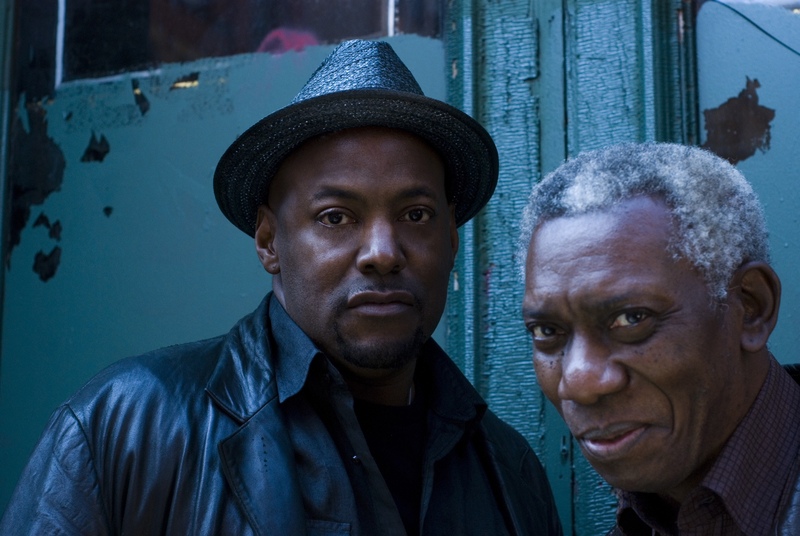 Pulitzer-Prize winning poet Yusef Komunyakaa and composer/musician/singer Tomás Doncker perform selections from their collaborations, including co-authored original songs and poems accompanied by music from the albums The Mercy Suite and Big Apple Blues. Mr. Komunyakaa will also read selections from his award-winning work. The performance will be followed by a talk-back with the audience. Komunyakaa and Doncker will return to Newark for the Geraldine R. Dodge Poetry Festival (October 23-36) proud sponsors of this collaboration with Bethany Baptist Church. Come for Poetry and Song at 4:00 and stay for Jazz Vespers at 6:00, featuring Sharp Radway. Yusef Komunyakaa received wide recognition with the 1984 publication of his first collection, Copacetic, followed by I Apologize for the Eyes in My Head (1986), winner of the San Francisco Poetry Center Award; and Dien Cai Dau (1988), which won The Dark Room Poetry Prize and is considered among the best writing on the war in Vietnam. Since then, he has published several books of poems, including The Chameleon Couch (Farrar, Straus and Giroux, 2011); Warhorses (2008); Pleasure Dome: New & Collected Poems, 1975-1999 (2001); Thieves of Paradise (1998), which was a finalist for the National Book Critics Circle Award; Neon Vernacular: New & Selected Poems 1977-1989 (1994), for which he received the Pulitzer Prize and the Kingsley Tufts Poetry Award. Komunyakaa’s many honors include the 2011 Wallace Stevens Award, the Ruth Lilly Poetry Prize, the William Faulkner Prize, and fellowships from the Fine Arts Work Center in Provincetown, the Louisiana Arts Council, and the National Endowment for the Arts. Bluesman, No-Wave/Funk Pioneer, creator of Global Soul, in-demand producer and Founder of True Groove Records, Tomás Doncker has been living for the music and playing his heart out for over four decades, working with people as diverse as Madonna, Sean Lennon, James Chance, Bootsy Collins, Bonnie Raitt, Ivan Neville, Bill Laswell, Bobby Caldwell, Sadao Watanabe, Meshell Ndegeocello, Prince Charles Alexander, Yoko Ono, The Itals, Adam Rudolph, Steel Pulse, Marla Mase, Mahmoud Ahmed, legendary theatre director Alfred Preisser and Pulitzer Prize-winning poet Yusef Komunyakaa to name a few. An international touring and recording artist, he has performed extensively in Europe, in China at the Shanghai Folk Festival and was invited to perform eleven shows at New York City’s 2013 Summerstage concert series. Nutty By Nature, now in its 18th year as New Jersey's premier improv comedy troupe, announced their new improv comedy show, Autumn Nuts. Nutty By Nature has been making audiences laugh throughout the metropolitan NY/NJ area for the past 18 years. In addition to having performed at The NJ Performing Arts Center (NJPAC), The South Street Seaport,12 Miles West, Theater Under the Stars,The Black River Playhouse, Luna Stage, Barnes & Noble and Borders bookstores; they were featured on the E! Television/Style Network's reality TV series, Try My Life. The Herald News called them "Bawdy, brilliant and proof that ingenuity can strike at a moments notice." The show is based entirely on audience suggestions! "After all," says executive director Bob Sapoff, "the only thing better than having a great idea is watching it come to life right before your eyes!" In addition to providing the material for the show, audience members are encouraged to bring their own crazy "props" that the actors will use during the show! UCPAC’S ANNIVERSARY GALA UNMASKS PHANTOMS! Enter into a shadowy realm of mystery and intrigue as three of the world's greatest Phantoms share untold stories of their experiences behind the mask and face their darkest fears--while performing classics of passion and seduction from such hits as Man of La Mancha, Sweeney Todd, Les Miserables, Jekyll & Hyde, Kiss of the Spider Woman, The Addams Family and many more! Call 732.499.8226 or visit WWW.UCPAC.ORG to support one of NJ's cultural arts treasures debuting its 1st World Premiere! SUMMIT PLAYHOUSE SCHEDULES CHALLENGING 96TH SEASON OF PLAYS! The Playhouse is located just off of Springﬁeld Avenue and just a few blocks west of the downtown district. Mark your calendars now for great theater! In South Boston, this month’s paycheck covers last month’s bills, bingo is a night on the town, and sharp-tongued single-mom Margie Walsh has just been let go from yet another job. Scrambling to make ends meet, she looks up an old flame, hoping he’ll help her make a fresh start in this humor-filled drama from Pulitzer Prize winner David Lindsay-Abaire about how twists of fate determine our path. Kenny Barrett did something that has everyone worried. He wishes he could just make it through the rest of his senior year unnoticed, but that's going to be hard since he has to publicly apologize to his entire school. While at home, his mother is struggling with a rocky start to her second marriage and a surprise visit from her estranged sister. FROM UP HERE is about a family limping out the door in the morning and coming home no matter what. The show was nominated for the 2008 Drama Desk and Outer Critics Circle awards. This comedy is set at the Knoxville, Tennessee home of the bride, Tracy Marlowe-McClurethe, during her overdone wedding reception. The five bridesmaids have found refuge in the room of Meredith, the sister of the bride. The women come to realize, among other things, that they, despite their differences, have more in common with each other than any of them do with the bride. Founded in 1918, our playhouse is NJ’s oldest continuously running community theatre devoted to all the traditions of a top notch community theatre. Annually, the organization produces three main stage plays, several youth productions, theatrical workshops and community collaborations. Each production beneﬁts a local outreach and each year, a theater arts award is presented to graduating high school seniors. We are at 10 New England Avenue in Summit, NJ. Our home is listed on the National Registry of Historic Buildings. The old stone building was built in 1891 and was Summit’s ﬁrst library building. 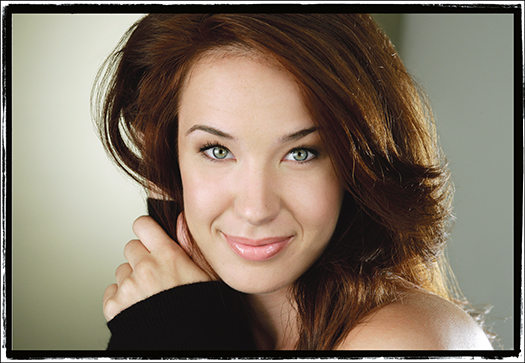 This program of great music celebrates the songs of one of the most prolific, but least known composers of Oscar-winning hits, sung by two of Broadway’s top stars, Sierra Boggess and Norm Lewis (Phantom of the Opera; Little Mermaid). Hosted by Rob Fisher (Encores!, Lincoln Center Songbook) at the piano. TICKETS: $9.00 per person at the door. Opening for Sloan will be The Wag, a three piece pop-rock band from Middletown, New Jersey. The performance is part of The Minstrel Acoustic Concert Series, sponsored by The Folk Project each Friday evening at The Fellowship. With a solid discography of seven original CD releases to her credit, Sloan continues to write, sing and perform live. In addition, Sloan has written numerous compositions for theater and dance and teaches at many of the best-known master songwriter series and workshops. Sloan's open spirit and first-hand experience is welcome – year after year – in the musical classrooms of such prestigious song camps as Richard Thompson's Frets and Refrains, The Swannanoa Gathering, Summersongs, Wintersongs, WUMB Radio's Summer Acoustic Music Week, and Cape Cod Songwriters Retreat. The Wag, an upbeat three piece band based in Middletown, New Jersey, will be the opening act. Featuring Brian Ostering on bass, Alicia Van Sant on keyboards and Don Lee on guitar, they have a unique style varying from blues to pop to rock. With alternating lead singers, there is a different feel to every song. Have you ever lost a large group of your own digital photos, or other important digital files? Most people today need to save digital information—photographs, audio, video, email, documents. Yet, preserving digital files can be problematic, especially on a household budget. Drawing from guidelines developed by the National Digital Information Infrastructure & Preservation Program, this free one-hour presentation will provide basic tips to help make your personal digital collections last long-term, into the future. As a Museum Curator at Thomas Edison National Historical Park, Jerry Fabris preserves the park’s extensive audio collections and serves on National Park Service’s Digital Information Services Council. He has a Master’s Degree in Library and Information Science from Rutgers University. The Year of Innovation looks at Thomas Edison’s final days, his role as a cultural icon and the preservation of the Edison legacy. Explore these ideas, attend a program, and see a special exhibit of original artifacts, documents and historic photos during the month of October at Thomas Edison National Historical Park (NHP). Thomas Edison is best known for the phonograph, light bulb and motion pictures, but his legacy is much more. Join a ranger to explore the laboratory complex and discover the many things that make up Edison’s legacy. As part of the program you will make a hand print to leave behind as part of your legacy, just as Edison did. Thomas Alva Edison died in October 1931 at his Glenmont Estate. He was 84 years old. To commemorate the anniversary of his death, we will offer evening tours of his home in Llewellyn Park. During the Last Moments tours visitors will hear about his final hours and the impact that his passing had on the world. Listen to passages from his last will and testament and view condolence telegrams from around the world. Edison’s death mask and a cast of his right hand will be on exhibit. Tour tickets are limited and reservations are required. Reservations can be made by calling 973.736.0550, ext.89. Enjoy local food and drink with vintage music under a tent at the Edison laboratory complex. The event will offer casual fun and camaraderie at the very place Edison and his muckers worked…and ate! The main laboratory building will be open for special evening tours from 5:30 p.m. to 6:30 p.m.
For more information and to order tickets visit www.foedison.org or call 973.736.2916 by October 17th. The Demolition String Duo featuring Elena Skye and Boo Reiners will record onto wax cylinders in the same way it was done in Edison's time over a century ago. The method of capturing sound is non-electric. Like the artists who recorded for Edison during the 1890s, the Demolition String Duo will play in front of a large horn that will serve as their microphone. With a shared passion for country, rock ‘n roll, bluegrass and mountain music, Elena Skye and Boo Reiners lead New York City’s “Demolition String Band”. They are currently celebrating the release of their recording of the Woody Guthrie song “Go Coney Island, Roll on the Sand” on the audio book “My Name is New York, Ramblin’ Around Woody Guthrie’s Town”. This new audio book is a collection of Guthrie’s New York City-inspired stories and music, produced and narrated by daughter Nora Guthrie. The Demolition String Duo can be contacted via email at elenaskye11@gmail.com. Their website address is www.demolitionstringband.com. Seating is limited and reservations are required. Reservations can be made by calling 973.736.0550, ext. 89. PLAY ABOUT ZORA NEALE HURSTON @ CROSSROADS THEATRE NEXT WEEKEND! CLICK HERE FOR A PREVIEW OF "LETTERS FROM ZORA"
Thanks to Carol Levin of the Bridgewater Public Library blog for this info! Jersey City Theater Center (JCTC) presents a fundraiser festival to support theater and the arts. There will be a great lineup of local and regional bands as well as dance performances and a touch of theater. From 3-6, Jersey City Brew Club, hosts its 4th annual Homebrew Competition with the People’s Choice competition and Beer tastings. The work is a Peak Performances commission. Charter bus service is provided from New York City’s Port Authority Bus Terminal–arcade on 41st Street between 8th and 9th Avenues–to the Alexander Kasser Theater ($10 per person, round trip) for all Saturday and Sunday performances. Bus reservations may be made by calling 973.655.5112 or by visiting www.peakperfs.org. For train service, available only on weekdays, go online to www.njtransit.com or call 973.275.5555. The much-anticipated world premiere of Scott Johnson’s “Mind Out of Matter”--the composer’s largest work to-date--will be performed by Alarm Will Sound. In Mind Out of Matter, Johnson, the first composer to create music from the rhythm and pitch of spoken words, samples the controversial writings of philosopher Daniel Dennett. Working like a tone poem with every syllable of every word in the piece written with its pitch and rhythmic potential, Mind Out of Matter shares its sensibility with Dennett, a dedicated Darwinist, who insists that a sense of wonder at the universe is revealed through scientific knowledge, not religion. Since Johnson is a man of ideas as well as music, the audience’s understanding the words is critical to the piece. What follows is a description by Johnson of how he has arrived at his unique point of view about music. He begins with a question: “Why can’t there be contemporary classical music that sounds like the time and place I live in? “I’ve devoted most of my efforts to creating a hybrid music, in which the complexity of the classical tradition opens a welcoming door to musical details and emotional associations from popular musics –- not because some imagined audience might enjoy them, but because I enjoy them. A little background will explain how and why this is personally and artistically important to me. “Many civilians out there are puzzled because most of the ‘classical’ composers they’ve heard of seem to be dead, and some are curious about what contemporary classical music might be like. That’s where I started also, when as a kid playing guitar in rock bands, I heard the Rite of Spring for the first time. By the time I got to college, I was studying music theory during the week, and playing in bars on the weekends. But this cultural moment, in the early 1970’s, was the high water mark of High Modernist compositional styles, and I had simply never heard written music built from the familiar instruments and gestures of my own culture. To do so was, quite simply, to violate a taboo, and any offender would be duly excluded from the company of the ‘serious’ composers of the Western tradition. This isolationist attitude, as we can see now, would itself have offended most of those composers, who tended to regularly mount raids on their own folk musics. Scott Johnson has played a pioneering role in the new relationship being forged between the classical tradition and the popular culture that surrounds it. Since the early 1980’s, he has been influential in the trend towards incorporating rock-derived instrumentation into traditionally scored compositions, and the use of taped, sampled and MIDI-controlled electronic elements within instrumental ensembles. 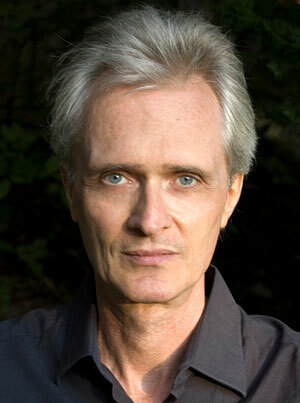 His music has been heard in performances by the Kronos Quartet, the Chamber Music Society of Lincoln Center, the Bang On A Can All-Stars, and his own ensembles; in dance works performed by the Boston Ballet, the London Contemporary Dance Theater, the Ballets de Monte Carlo; and in Paul Schrader’s film Patty Hearst. His music recorded on the Nonesuch, CRI, Point, and Tzadik labels. WHEN: previews on Thursday, October 9, and runs Thursdays through Sundays through November 9th. Opening night is Friday, October 17. Select performances are followed by Talkbacks with the Creative Team and special guests from the worlds of Education and Politics. Group sales and student matinees are available. $10 Student Rush tickets are available one half-hour before curtain. Individual tickets and Luna Stage 2014-2015 Season Passes can be purchased at www.lunastage.org, by calling 973.395.5551 or in person Tues.-Fri. 10 AM-3 PM. The theatre is handicapped accessible and offers assistive listening devices. The title refers to the famous quote about segregation by 1960s Alabama Governor George Wallace. The play focuses on residential districting in NJ public schools and examines how this controversial and emotional issue has affected the dream promised through the landmark ruling of Brown v. Board of Education 60 years ago. Luna Stage commissioned Ms. Salter to write a play inspired by the life and work of Justice Robert L. Carter, who spent his youth in East Orange and Newark and was one of the architects of the NAACP's legal strategy behind Brown v. Board of Education. This is the second play Luna Stage has commissioned that centers around history or issues specific to New Jersey. Ms. Salter chose to look specifically at residential districting in Essex County because "We, as a nation, are losing out." says Ms. Salter. "Collectively, we continue to demonstrate that we believe in our hearts that some people are better than others; some people are inherently more capable than others; some people, based on where they live, are more valuable and more worthy of our investment than others. Nowhere does this make itself more apparent than in our system of public education." Erin Cherry, a graduate of Rutgers University's Mason Gross School of the Arts, was last seen as Taylor in the Majestic's Theatre production of Stick Fly and recently understudied When We Were Young and Unafraid at Manhattan Theatre Club. She is the founder of With A Cherry on Top Productions. Rick Delaney, Maplewood, NJ resident, has spent the past 20 years performing in the NY/NJ area. He has played memorable roles in many of NJ's professional theaters, including WhatExit?, The Theater Project, Dreamcatcher Rep, 12 Miles West and the Bickford. Dorcas Sowunmi, a native Texan, was most recently seen as Lady Capulet in The Classical Theatre of Harlem's production of Romeo and Juliet. 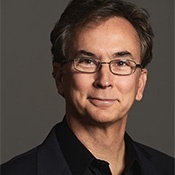 Other credits include role in: Mary Stuart & Measure for Measure (The Stratford Shakespeare Festival) Miracle Worker (Indiana Repertory Theater), and Trust (Lookingglass Theatre). Director Reginald L. Douglas returns to Luna after directing last season's critically acclaimed revival of Master Harold... and the Boys. Douglas' awards and fellowships include the 2013-2014 2050 Directing Fellowship at New York Theater Workshop and the inaugural Van Lier Directing Fellowship at the Lark Play Development Center. Luna Stage, a proud member of Valley Arts, is located at 555 Valley Road, West Orange, NJ 07052. VIP tickets, which include premier seating and a cocktail reception with John Prendergast (pictured above) at Ursino Restaurant in the STEM Building scheduled for 5:30 PM, are $50.00. 80% of every dollar collected will go to the Enough Project’s work for peace in Sudan and South Sudan, with the remaining 20% going back to the Human Rights Institute. Tickets may be purchased in person at the Kean Stage box office, located in Kean’s Wilkins Theatre, by phone at 908.737.SHOW (7469), or online at www.kean.edu/TheGoodLie. No children under 13 will be admitted. The premiere will be attended by Mr. Prendergast, an internationally acclaimed human rights activist, who appears in the film and has a longstanding relationship with the University. Mr. Prendergast will participate in a brief Q & A session immediately following the screening. The Good Lie, opening in limited release on October 3 and distributed domestically by Warner Brothers Pictures, tells the story of the so-called “Lost Boys.” Orphaned by the brutal civil war in Sudan, which began in 1983, these young victims traveled as many as a thousand miles on foot in search of safety. Fifteen years later, a humanitarian effort would bring 3,600 lost boys, as well as girls, to America. Mr. Prendergast, named Kean University’s Anne Evans Estabrook Human Rights Senior Fellow in 2013, will be on campus working with students and faculty throughout the week. In March 2014 while in residence, Prendergast met with student leaders and the Kean Human Rights Conference committee, hosted various talks regarding global and local human rights issues, and attended an event in support of Unlikely Brothers, a dual memoir co-authored with his first little brother in the Big Brothers Big Sisters program. A tireless advocate for peace in Africa, Mr. Prendergast is the Founding Director of the Enough Project, an initiative to end genocide and crimes against humanity affiliated with the Center for American Progress. He is the author or co-author of ten books, including Not On Our Watch with Don Cheadle, a New York Times bestseller and NAACP non-fiction book of the year, and The Enough Moment: Fighting to End Africa’s Worst Human Rights Crimes. He previously served as Kean’s keynote speaker for #ENOUGH! – Affecting Change from the Frontlines to Your Newsfeed, the University’s sixth annual Human Rights Conference in 2013. In The Good Lie, Philippe Falardeau (writer and director of the Oscar®-nominated Foreign-Language film Monsieur Lazhar) brings the story of the survival and triumph of the “Lost Boys” to life. Academy Award® winner Reese Witherspoon (Walk the Line) stars alongside Sudanese actors Arnold Oceng, Ger Duany, Emmanuel Jal, and newcomer Kuoth Wiel, some of whom were also children of war. The HRI and University at large have addressed the ongoing conflict in Sudan through a variety of mediums over the years, namely Darfur: The First Genocide of the 21st Century, the topic of its inaugural Human Rights Conference in 2008. NJPAC Stage Exchange, a partnership with Playwrights Theatre of New Jersey and Yendor Productions, is where cutting-edge new play development meets insightful community dialogue. Featuring prestigious playwrights from New Jersey and plays developed in the Garden State—and panels of artists, scholars, community leaders and newsmaker—each evening will use a work-in-progress to spur discussion on important issues in the state and nation, leading the way to deeper understandings of concerns we all face. An examination of the lives and personal choices immigrants make to participate in the American Dream. Ironbound was commissioned for the Smith Prize, which honors a play that deals with relevant political issues. The true story of the Little Rock Nine—the first African Americans to volunteer to integrate Little Rock Central High School in Arkansas in 1957. 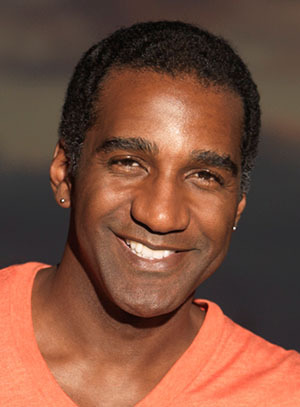 When it premiered in New York in 1991, The Talented Tenth was a departure for Newark-born Richard Wesley. His previous plays depicted the street life of poor residents of Newark, while The Talented Tenth is about a band of "buppie" Howard University graduates dwelling in New Jersey's upper middle class. Two Marines return from Afganistan in a battle for their lives. In a world where post-traumatic stress disorder, house parties and drug deals are part of daily life, patriotism and indifference interwine and true humanity is revealed. This documentary play, created by McCarter Theatre Center Artistic Director Emily Mann, explores radical Islamism and the dangers that ideology can pose not only to Western nations, but also to moderate traditional Muslims around the world. Single-performance tickets are available online at njpac.org, via phone at 1-888-GO-NJPAC (1-888-466-5722) or at the NJPAC Box Office, One Center St., Newark. 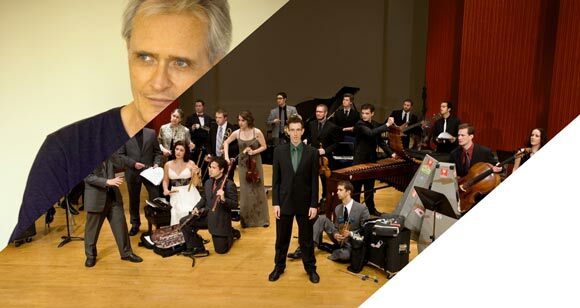 For groups of 10 or more, call NJPAC at 1-888-MY-NJPAC (1-888-696-5722). All tickets purchased online and via phone are subject to a per-ticket handling charge. The NJPAC Box Office is open Tuesday-Saturday from noon to 6pm, Sunday from noon-5pm when performances are scheduled, and closed on Monday. Phone calls to 1-888-GO-NJPAC (466-5722) for single-performance ticket orders are answered seven days a week, from 9 AM to 9 PM. Phone calls to 1-888-MY-NJPAC (696-5722) for groups of 10 or more are answered Monday-Friday from 9 AM-5 PM. Artists, dates, times, venues, programs and prices are subject to change. George A. Romero's legendary classic. Night of the Living Dead Live is a fun and hilarious, yes hilarious, re-imagining of George A. Romero's legendary classic. The play lovingly examines the movie itself, the period in which it was made, and the film's undying influence on the horror genre. Night Of The Living Dead Live is a theatrical tribute to all of the elements that make this cinematic masterpiece so endearing. More than just a recreation of the story, the play celebrates the history and influence of the movie. Contrasting personalities and agendas always seem to affect the group from working together which leaves us all wondering could anyone survive a Night of the Living Dead? ROCK ‘N’ ROLL IN THE SOMERSET HILLS THIS OCTOBER 3! Welcome to the hottest joint in town! The Coasters are headlining and it's always a party at SMOKEY JOE'S CAFÉ! This Tony Award®-nominated and Grammy Award®-winning salute to legendary songwriters Leiber and Stoller is a raise the roof, song-and dance celebration of some of rock 'n' roll's greatest hits! Get ready for songs like Hound Dog, Stand by Me, Yakety Yak, Jailhouse Rock, Spanish Harlem, On Broadway, Kansas City, Love Potion #9, Fools Fall in Love and many more. The New York Daily News calls SMOKEY JOE'S CAFÉ "wildly infectious" and Time Magazine says, "it sails and soars!" WHERE: The Oakes Center, located at 120 Morris Avenue in Summit. TICKETS: $20-$35, with special rates for subscribers and groups. Purchase tickets online at www.dreamcatcherrep.org or by calling Brown Paper Tickets at 1.800.838.3006. Dreamcatcher Repertory Theatre, professional Theatre in Residence at the Oakes Center in Summit, and Playwrights Theatre of New Jersey of Madison are co-producing the premiere production of Richard Dresser’s 100 Years. This dark comedy set sometime in the not-too-distant future has been developed on stages across the country before coming to New Jersey. In the play, Joan and Stevie prepare for what has been promised will be a transformative experience. But what will this mean for life as they know it? And what’s the deal with the strange couple next door? From the playwright of such funny and topical plays as Rounding Third, Gun-Shy and The Pursuit of Happiness, 100 Years confronts today’s most dire global crises with incisive humor and sly wisdom. The comedy will feature Eli Ganias (New York), Julian Gordon (Summit), Stacie Lents (Hoboken), John Pietrowski (Long Valley), and Harriett Trangucci (Summit), who is a member of Dreamcatcher’s professional Resident Acting Company. Parking is available in the lot behind the theatre on Ashwood Avenue and at the Summit Recreation Center on Morris Avenue. The facility is wheelchair accessible. Assistive Listening devices for the hearing impaired and advance large print scripts are available by prior arrangement. To purchase tickets or for information on any of Dreamcatcher Repertory Theatre's programs, please visit www.dreamcatcherrep.org or contact Dreamcatcher Repertory Theatre at The Oakes Center, 120 Morris Avenue, Summit, NJ 07901, 908.514.9654. For information on any of Playwrights Theatre of New Jersey programs, please visit www.ptnj.org, or contact Playwrights Theatre of NJ, P.O. Box 1295, Madison, NJ, 07940, 973.514.1787 x20. TICKETS: Reserved seats are $45 for the General Public, $40 for Senior Citizens and Members of the Morris Museum/Theatre Guild, $33 for Groups (10 or more), and $20 for Students (18 or under or with valid college ID). Tickets may be purchased by phone at (973) 971-3706, or in person at the Bickford Theatre Box Office. The Bickford Theatre is an integral part of the Morris Museum, located at 6 Normandy Heights Road in Morristown, NJ, and offers free parking and full accessibility. Box Office hours for phone sales are Monday through Friday, 10:00 AM to 5:00 PM. Walk-up hours are Tuesday through Friday, 11:00 AM to 5:00 PM. Gwendolyn F. Jones (Mother Superior, Nunsense) will return to the Morris Museum to portray Sophie Tucker, one of the best-known American stars of the first half of the twentieth century. Renowned for her bawdy sense of humor, Tucker influenced generations of comedians and singers including Ethel Merman, Joan Rivers, and Bette Midler. Over the course of her career, which spanned seven decades, the entertainer found popularity with hits such as Real Women Have Curves, Living Alone and I Like It, After You’ve Gone, Fifty Million Frenchmen Can’t Be Wrong, My Yiddishe Momme, Life Begins at 40, and her uplifting signature song, Some of These Days. Credits: Bickford Theatre: Nunsense and Nunsense 2; National and International tours: Hair, 42nd Street, and Annie. Broadway, Off-Broadway, and Regional: Chicago, Dear World (Barrymore Nominee), Full Monty, Sophie, Totie & Belle, Hello, Dolly!, Jekyll & Hyde, 42nd Street, Once Upon A Mattress, Mame, and Thoroughly Modern Millie. She has played the Papermill Playhouse, North Shore Music Theatre, The Benedum Center in Pittsburgh, and Walnut Street Theatre in Philadelphia. For several seasons, Gwendolyn Jones played Mrs. Claus with the Radio City Music Hall’s Christmas Spectacular. She also performs as a Guest Artist with an extensive list of Symphony Orchestras. In her spare time, she can be found raising llama and sheep. Education: Shenandoah College and Conservatory of Music, American Musical and Dramatic Academy, NYC. “LEND US YOUR EARS” @ STNJ: ONE NIGHT ONLY!